Nike by Melrose, Melrose Avenue, West Hollywood, Los Angeles. 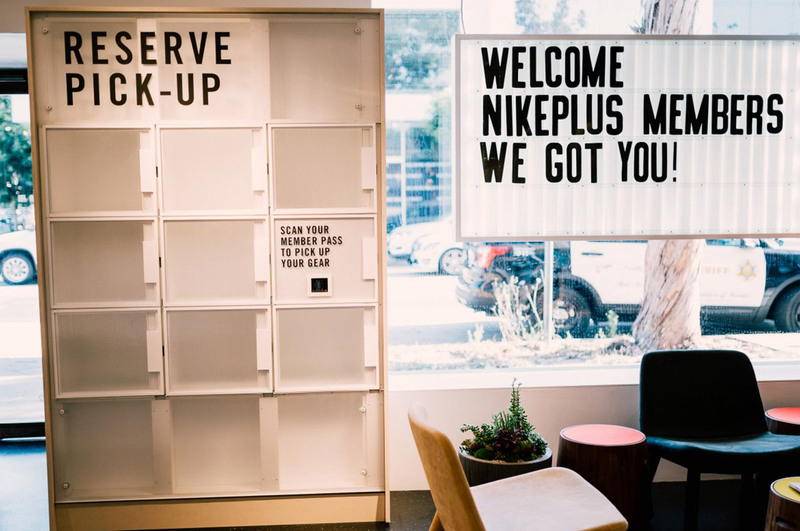 The first Nike™ Live concept store is designed to maximize speed and convenience by combining digital offerings with a 4,000-square-foot physical retail location. Built around customer service, the store includes an in-app offering that allows customers to come into the store and try on pre-reserved shoes. The shoes are stashed in a locker that they can open with a scan of their smartphone.